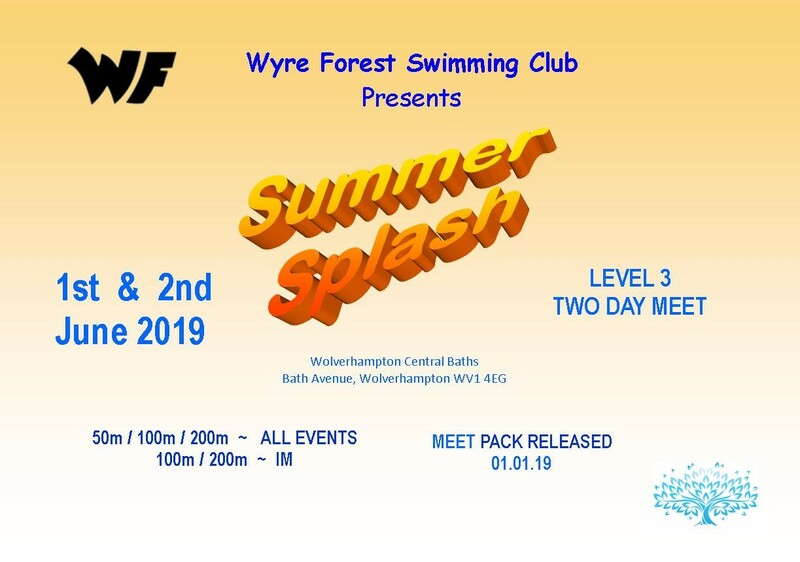 WYRE FOREST SWIMMING CLUB IS PROUD ONCE AGAIN TO HOST ‘SUMMER SPLASH’! A TWO DAY LEVEL 3 MEET AT WOLVERHAMPTON! !